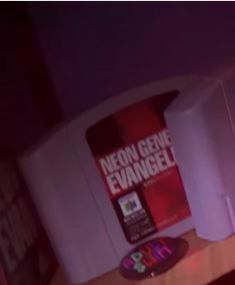 [Game] Evangelion Nintendo 64 game? I noticed this while watching a video from the Youtuber "RebelTaxi" the video itself isn't about the game, but I was curious enough to ask about it. It looks authentic enough. That looks like the Evangelion N64 game! Friend of mine has that game. I was able to play a little bit of it. I remember the the response time of the controls being a little wonky for that type of game, but other than that I found it neat to play. Neon Genesis Evangelion for the Nintendo 64, also known as "Evangelion 64" and only released in Japan. I have it. It's one of the few that are playable without knowing Japanese, but you're not missing anything. Scenario is largely a retread of the TV series and End of Eva, and the gameplay isn't very satisfying. This seems to be a fairly common issue for Eva games. Battle Orchestra also has a weird amount of input lag. Eva 64 is basically a retread of the TV series, but it has a somewhat different ending I think you might appreciate, Ray. For the very final sequence, you control Shinji and the awakened Unit 01 in an aerial battle against the Mass Production Evas. You have to destroy all 9 of them with a black Lance of Longinus to win. It's a basic dodge-and-counter type of battle with limited control, but from a story perspective it's kinda neat. I have this game. I had to buy a mod set to play it on my NA n64. I was impressed by it. But I enjoyed the mini training game more than the actual game. I played it when i was a kid and then again around last year, it was fun. It was also cool how different levels had you doing different things although i kinda wish there had been more straight-up fighting. As was said the ending differs with Shinji taking on the MPE and Instrumentality is, IIRC, averted. It concludes in the same beach as in EoE but Shinji's embracing Asuka as KST-esque music plays. A superficially pandering ending that becomes deeply unsettling when you think about what averting Instrumentality means at that point in the series (Everyone Shinji loved is DEEEAAAAAAAAAD).